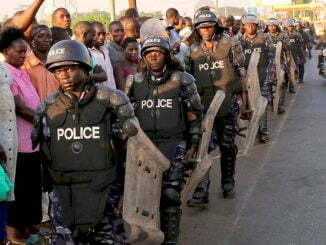 Three months after the bitterly disputed February 18, 2011 general election, Uganda remains in the grip of sustained opposition protests at various levels of intensity, but by the last week of May, was also settling down into the business of government and parliament. Late on Friday May 27, 2011, President Museveni’s new cabinet was announced, and it has expanded in size from the already large 71 from 2006 to 2011 to 75, with one more appointment to be named, which then brings it to 76. The biggest surprise was the appointment of Maria Kiwanuka, the proprietor of Radio One and Radio Two, as the new Minister of Finance. The other surprise was that at last, after what had seemed to be a life appointment, the long-serving Minister of Works, John Nasasira, relinquished his position and was relegated to that of Government Chief Whip. What is significant about the new cabinet is that all the ministries that directly receive large western donor funding – Finance and Economic Planning, Maria Kiwanuka; Health, Christine Androa; Tress Buchanayandi; Agriculture; Energy and Minerals, Irene Muloni; Works and Transport, James Byandala – not only saw new appointments altogether, but the appointment of people not known to be politicians and most of whom are better known as corporate professionals. There was much pressure on the president to reward his supporters and top party officials who had made possible his election victory. There was a whole host of NRM “independents”, still bitter after last year’s rigging during the party primaries, who would surely have been appeased by some cabinet appointment. But curiously, these key cabinet posts went to figures well outside the NRM party. The question is: why? It cannot be that President Museveni, after years of watching the public institutions and infrastructure decay has suddenly seen the need for professional bureaucrats. Even if he did see the need for professionals, the pressure from within his party to reward his supporters outweighed the need for professionals. One can only surmise, then, that the reason that the announcement of the new cabinet took longer than usual was that in all likelihood there were behind-the-scenes negotiations with the western donors, finally sending Museveni a firm message that in these times of anaemic economic growth in the United States and widespread fiscal austerity in Europe, the donors cannot continue pouring aid into Uganda and not show their citizens back home at least some evidence that it is achieving results. Maria Kiwanuka, for example, is as apolitical as they get. But the fact that she worked for many years at the World Bank headquarters in Washington suggests the above – the World Bank and probably the U.S. government must have forwarded her name to Museveni and given him little choice in the matter. So if they finally saw it fit to require Museveni to account for the aid they give him, why then did the same donors not pressure him to cut down on the number of ministers to begin with? In the absence of hard facts, it can only be speculated that perhaps this was a political trade-off: Museveni relinquishes control of key ministries that affect the lives of most Ugandans and receive heavy donor funding, in exchange for a certain turning of a blind eye to the large cabinet. In this case the donors understanding that some degree of patronage is sometimes necessary to maintain political stability in fragile states. When it was announced that Edward Ssekandi had been named as the new Vice President by President Yoweri Museveni and Amama Mbabazi the new Prime Minister, the news created a buzz in Uganda and featured prominently on the front pages of newspapers the next day and as the lead story on radio and television that day and night. It has always been the assumption within political circles and among political analysts that the position of Vice President under the Museveni administration was by and large an honouree job. Most journalists, commentators, politicians and many if not most in the general public know this. The fact of the matter, as is fairly well-known in Uganda, is that the Vice Presidency of Ssekandi or the Premiership of Mbabazi in no way changes the balance or centre of power in the country. 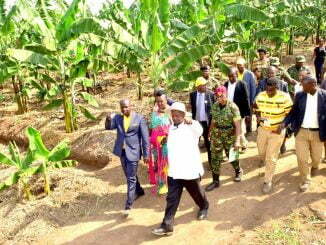 All real and final power in Uganda rests in the hands of Museveni. When Gilbert Bukenya was appointed Vice President in 2003, one of his first public utterances was to thank one of President Museveni’s aides, Moses Byaruhanga, for making this possible, describing Byaruhanga as his “mentor”. The absurdity of an incoming Vice President paying homage to a junior presidential aide was widely commented upon by the media. In a real way, Bukenya was being realistic: in Uganda, power is not structured in the traditional way of a British or American system. Often, obscure junior or mid-level army or security officers command more power than brigadiers and major-generals. Presidential assistants wield more influence than cabinet ministers. Yet somehow, they go against what they know and insist on the redundancy of treating these new appointments as some kind of sensational or significant development in the country. To begin with, during a meeting at State House in Entebbe between the president and NRM members of parliament and other party officials, Museveni proposed Ssekandi as Speaker for another term in office but this was overwhelmingly opposed by the NRM MPs. Not only did this in itself indicate his standing with NRM MPs (the opposition, of course, long ago condemned him as biased against them), but it left Ssekandi without much of a power base to speak of. He therefore becomes Vice President almost entirely at the behest of Museveni. If anything can be read into the initial appointments, the nearest to significant would be that of Mbabazi as Prime Minister. 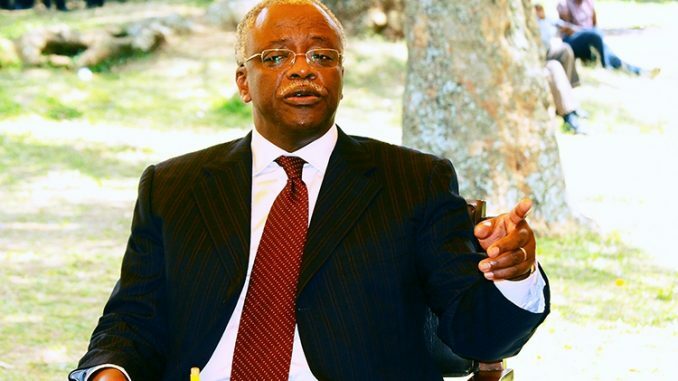 Mbabazi has always been viewed, since the NRM captured state power in 1986, as one of the nerve centres of Museveni’s rule, heavily connected to and rooted within the state security apparatus. He was one of those officials in the NRM that did not need to be visible for them to be powerful. His first job in the NRM government of 1986 was as Director-General of the External Security Organisation (ESO), Uganda’s foreign intelligence-gathering agency. In the 1990s, he was a long-standing Minister of State for Defence, with Museveni as the Minister of Defence. His most recent government job has been Security Minister. As it is with most of Africa and the Middle East, the core power of the state lies with defence and intelligence. So for Mbabazi to rotate in most of his appointments within the defence and security arenas (he was briefly in 2004 the Attorney General) speaks of a certain weight he carries within the Museveni regime. The further he works in the shadows or behind the scenes, the more powerful is Mbabazi’s actual power and influence. Therefore, although he celebrated his appointment as Prime Minister, questions can only be raised about how much this is a promotion and how much it is a demotion: to be stripped of effective power but dressed up as a formal promotion. In recent months leading up to the February election, Nina Mbabazi Rukikaire, a daughter to Mbabazi, turned to writing what many viewed as surprisingly critical articles in Ugandan newspapers and on her Facebook page about the NRM government. Many of her articles directly criticized or were dismissive of Museveni. If Nina Mbabazi was coming across as an in-house critic, hoping to catch the attention of State House and by this spark off behind-the-scenes negotiations between Museveni and her father Mbabazi, culminating in this new position for Mbabazi, then he has indeed been promoted. However, if State House carefully read Nina Mbabazi’s public statements, noted that Mbabazi was making no effort to restrain his cantankerous daughter and therefore she might be reflecting Mbabazi’s personal views on Museveni and his regime. In this case, it could have repercussions for Mbabazi’s position within the government and therefore his appointment as Prime Minister was not only a demotion but a move to gently loosen his grip on the actual power of state, which as already stated, lies within the defence and intelligence establishment. After all, when the police used strong arm methods against the FDC President Dr. Kizza Besigye and opposition protesters during the first few days of the “walk-to-work” campaign, President Museveni publicly praised the police and its Inspector- General, Major-General Kale Kayihura as true NRM cadres. Mbabazi remained silent during this time. 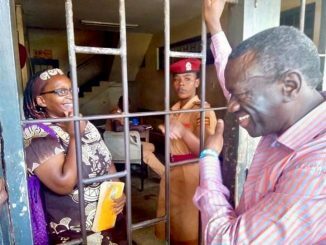 But after Besigye was hit in the eyes by pepper spray on April 28, Mbabazi in his first public comments on the opposition clashes with the police declared that the police had used excessive force, going directly against Museveni’s verdict and so appearing to share his daughter’s increasingly dim view of the government from which the Mbabazi family has benefited since 1986. Meanwhile, the opposition finds itself with awkward questions to answer, with the new cabinet being announced and the opposition announcing their counterpart. On May 25, the FDC announced Budadiri West MP Nathan Nandala Mafabi as the official Leader of the Opposition in parliament and his deputy as Winfred Kiiza, a woman MP from Kasese district. The opposition rejected the results of the February 18, 2011 general election as fraudulent. The ongoing walk-to-work and hoot protest campaigns stem from this view that the election was rigged. That being the case, if the election was massively rigged, why then was it an issue for debate and wide consultation by the Forum for Democratic Change (FDC) party to select a Leader of the Opposition in parliament? If the Ninth Parliament is the result of a fraudulent election, why were opposition MPs-elect eager to be sworn in and get about their new legislative tasks? The UPC President Olara Otunnu had urged the elected opposition MPs to boycott the new parliament as a statement against the election outcome that saw Museveni gain another five years in power. This was opposed by both UPC and FDC MPs-elect. When cynical Ugandans dismiss both the ruling NRM and the opposition as two sides of the same disappointing face, this contradictory stance of the opposition to denounce the election results but insist on assuming their parliamentary seats is what the cynics usually mean. In the last parliament, the opposition led by Prof. Morris Ogenga- Latigo put up a brave but ultimately futile effort to counterbalance the dominance of the ruling NRM party in the House. When draconian or unreasonable bills or laws would be tabled or enacted into law, at most the opposition would condemn these moves and sometimes stage walkouts from parliament. None of that fundamentally changed the political facts in parliament. Draconian laws still got passed and the House often acted at the behest of the State House it was supposed to keep in check. Appearing on a KFM Hard Talk weekend talk show in 2010, the former Kampala Central MP and now Lord Mayor of Kampala City, Erias Lukwago joked that parliament had lost meaning, with the Speaker of Parliament, Edward Ssekandi, reduced to a “moderator” of the House, as would be a radio talk show moderator. Over the years, the larger the Parliament has grown, the more ineffective it has become. The Ninth Parliament, with 374 members, can hardly be expected to do better than its three predecessors. During the swearing-in of the new parliament, several MPs-elect from the smaller towns and villages in the country either totally failed to repeat the words of the oaths or fumbled their way through them. The fact that men and women supposedly elected to represent their constituents could lack the grasp of English (Uganda’s official language for government business) to take a simple oath of office, alone points to what can be expected between now and 2016. It then becomes obvious that the next five years in Uganda’s history will be yet another chapter of lackluster politics, pettiness, and a lack of progress on the pressing problems that affect the vast majority of the country’s citizens.